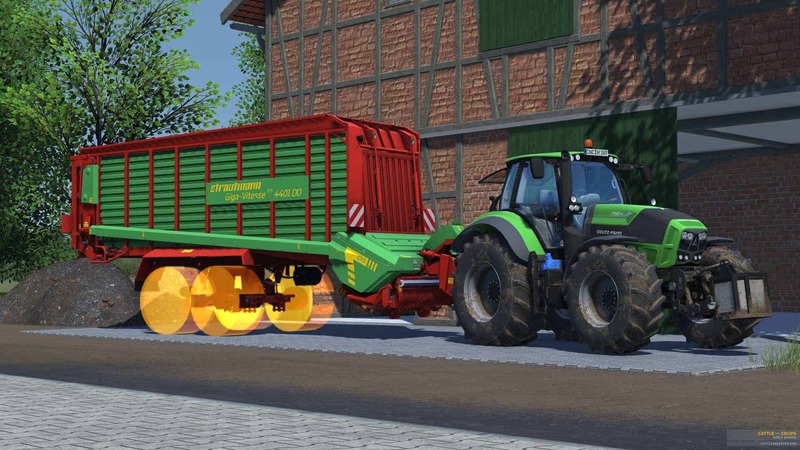 A (not so) small preview of the Strautmann Giga-Vitesse CFS 4401 forage wagon from the next update. 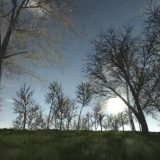 We’ve spent the last few months developing features and improvements for the upcoming grassland update. As some of them haven’t been finished completely, yet, we’d like to use a few more weeks for additional development. For example, we’re heavily improving the display of fruits and vegetation in the distance so the crops will fade in and out more smoothly. 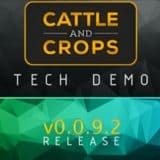 Speaking of crops: development on fruits and fillable tanks has made some major steps forward, adding the option to have multiple ingredients. Balers will be able to deal with different straw types, trailers can be filled with both wheat and barley at the same time – thus creating the mysterious whearley – and hay bales can have parts of silage. 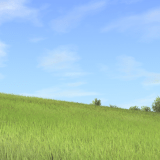 The majority of the current development is being spent on the process of harvesting grass, for which we’ve created a few great elements, such as a detailed hay making on the field. For the upcoming vehicles, we’re currently spending a lot of time on the physics implementation of the game: we’ve been able to pinpoint the issue of the slipping objects; vehicles and bales won’t wander around (as much) any longer. These changes have even led to a slight performance improvement as well. Last but no least: we have – finally – improved the cruise control: you’ll be able to increase and decrease the selected cruise control speeds with two buttons. Next week: we’ll share some insights into the upcoming improvements we’re currently developing for all the modders out there.